The Bogen VRS2 is vandal-resistant speaker designed for hands-free two-way communications. The VRS2 consist of a 3-inch, weather- resistant, cone-type speaker and a 25V transformer (tapped at 1/2 watt). The transformer can be bypassed for 8-ohm operation. The speaker and transformer are mounted on a #11-gauge stainless steel faceplate. 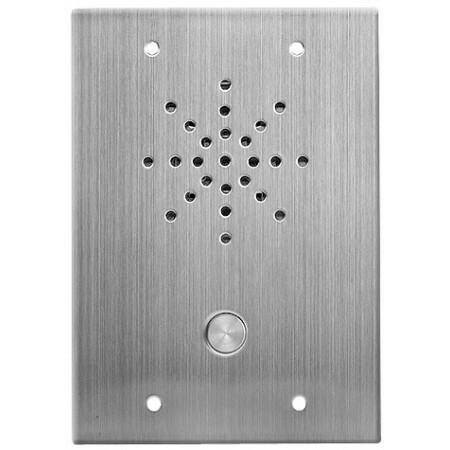 The speaker is protected from harm by the faceplate, a baffle plate with stamped perforations, and a grille screen.